Kentucky Wesleyan College is excited to welcome the “Last Chance K9 Services” to campus on March 7 and 8 for career presentations. These presentations will take place in Rogers Hall in the Winchester Center on Tuesday, March 7 at 7 p.m. and Wednesday March 8 at noon. The Tuesday presentation is free and open to the public. The “Last Chance K9 Services” presenters will be working in collaboration with several academic areas and will be visiting the classrooms of four major areas: psychology, zoology, criminal justice and business and marketing. With psychology, the presenters will focus on human behavior as well as Clandestine Behavioral Operations and analysis. Zoology will look into the animal behaviors and animal behavior modification with the K9s. The presenters will talk about the legalities as they relate to criminal justice and the importance of current laws, statutes, regulations, the Constitution and rules of the K9 world. In Buusiness and marketing, the presenters will concentrate on entrepreneurism, market research and finding and filling a niche in the business world. Founder and Owner Michael Davis will bring three to four K9s who exhibit different personality traits. The presentations will include Davis, Daniel Alarik, Bobby Klepper and Eddie Wescott. 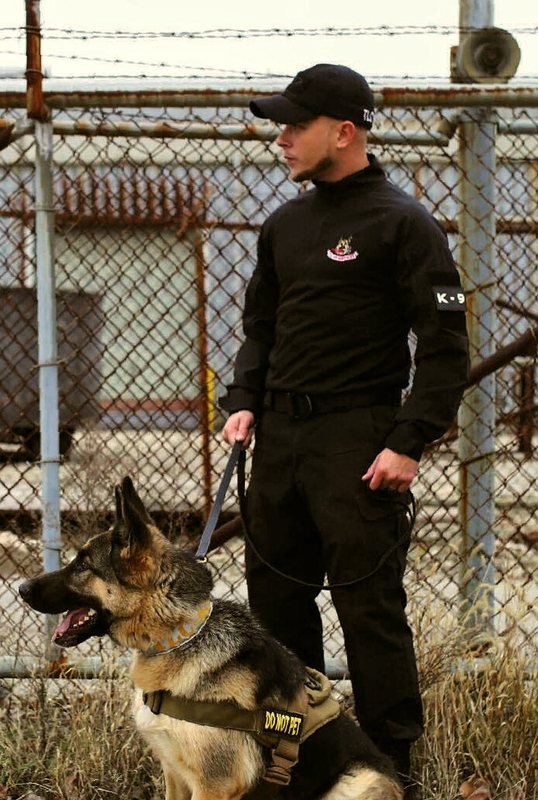 In addition to founding and owning “Last Chance K9 Services,” Michael Davis is a private and public sector K9 expert. He has experience in Clandestine Operations and invented S.T.A.I.R.S. K9 Detection Tools. He has served as Intelligence and Psychological Operations Specialist and Director of K9 Operations and Training for C.R.I. Israeli Training School. Daniel Alarik is the creator and founder of Grunt Style, the world’s largest clothing company designed for military and law enforcement. In addition to being a successful businessperson, Alarik is a former drill sergeant from the U.S. Army. Bobby Klepper in an Improvised Explosive Device (IED) expert. He has served as International Director of the International Association of Bomb Technicians & Investigators (I.A.B.T.I.). and as Senior Special Agent at the Virginia State Police Department Bomb Squad. Eddie Wescott is a K9 police officer at the Jeffersontown Police Department/Louisville Metropolitan Police Department with nearly 30 years of service. He is also a police K9 trainer and inventor of First-In Canine Attic Deployment System.